Liepard in game: 479 Who? Important notice! 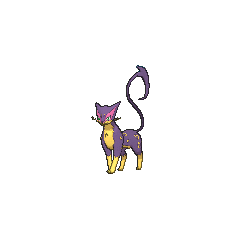 Pokemon Liepard is a fictional character of humans. Liepard (Japanese: ????? 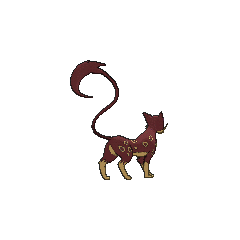 Lepardas) is a Dark-type Pokémon introduced in Generation V.
A Liepard was set to appear in BW023 (unaired) and BW024 (unaired) under the ownership of Team Plasma before it was postponed indefinitely due to the Tohoku earthquake and tsunami. A Liepard belonging to Stephan first appeared in Lost at the League!, and this episode marked Liepard's TV debut. In Strong Strategy Steals the Show!, it made its proper debut, battling against Ash. A Liepard belonging to Aldith appeared in Team Plasma's Pokémon Manipulation! and Meowth, Colress and Team Rivalry!. A Liepard appeared in Secrets From Out of the Fog! under the ownership of a Team Plasma Grunt. Multiple Liepard appeared in Ash and N: A Clash of Ideals!, Team Plasma and the Awakening Ceremony! and What Lies Beyond Truth and Ideals! under the ownership of several Team Plasma Grunts. 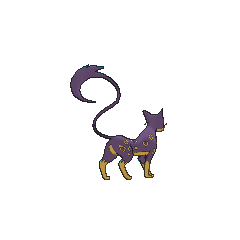 Shinobu used a Liepard to defend the Ninja Village in A Festival of Decisions!. Bryony's Liepard made its debute in Meeting at Terminus Cave!. Liepard eventually made its debut in White—Victini and Zekrom and Black—Victini and Reshiram. 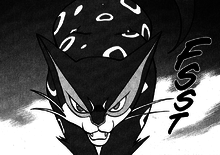 A Liepard under the ownership of Misaki appeared in Kyurem VS. The Sword of Justice, where it was seen battling Kanata's Herdier in the Roshan City Pokémon Center and won. 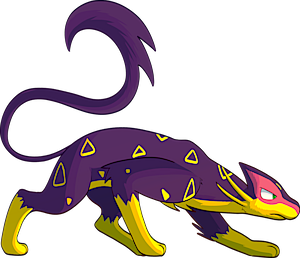 A Trainer's Liepard and a Liepard in a fantasy appeared in Cilan and the Case of the Purrloin Witness!. Liepard appeared in The Uprising under the ownership of some Team Plasma Grunts. 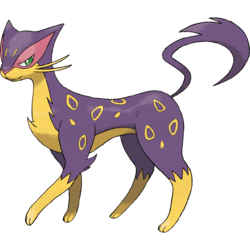 Liepard has traits of both housecats and leopards. It could also draw inspiration from spotted wildcats like the leopard cat, ocelot and serval. It may also be based on a Savannah cat, a hybrid between a domestic cat and a serval. It also slightly resembles a black panther, because of its dark coloration and the fact that spots on a panther's coat can be seen if examined closely. Lepardas is a combination of leopard and π?ρδος pardus (Greek for leopard). Mandarin Chinese ?? Kùbào Literally "Ruthless leopard".